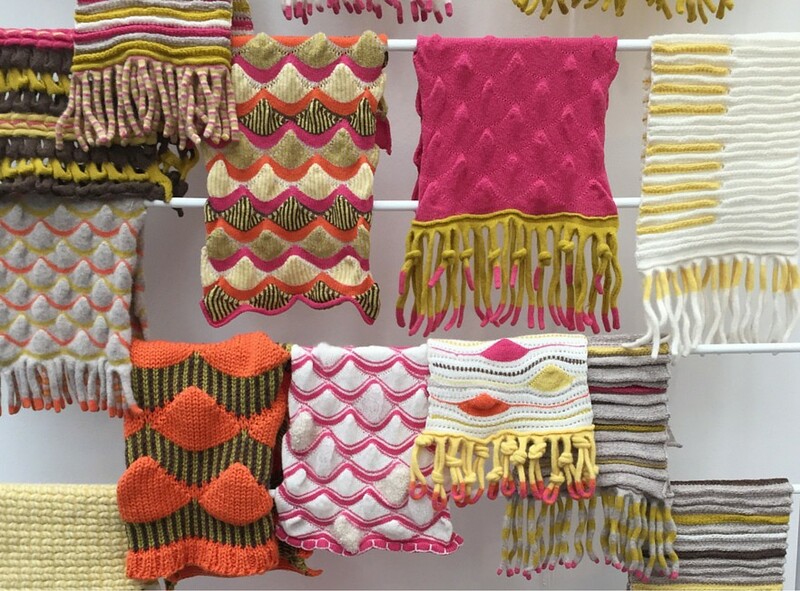 Inspired by Wool at New Designers Pt 1. New Designers, the unmissable annual showcase of graduate design talent is now in its 31st edition. Showcasing work from over 3,000 creatives across multiple disciplines including textiles, illustration, furniture and spatial design and more it provides a platform for young designers to present their work to the wider industry and the public. We went to Part 1 last week to take a look at how textile students are using wool in their work and discovered a diverse response to this versatile, multipurpose fibre – here are a few of our favourite finds! 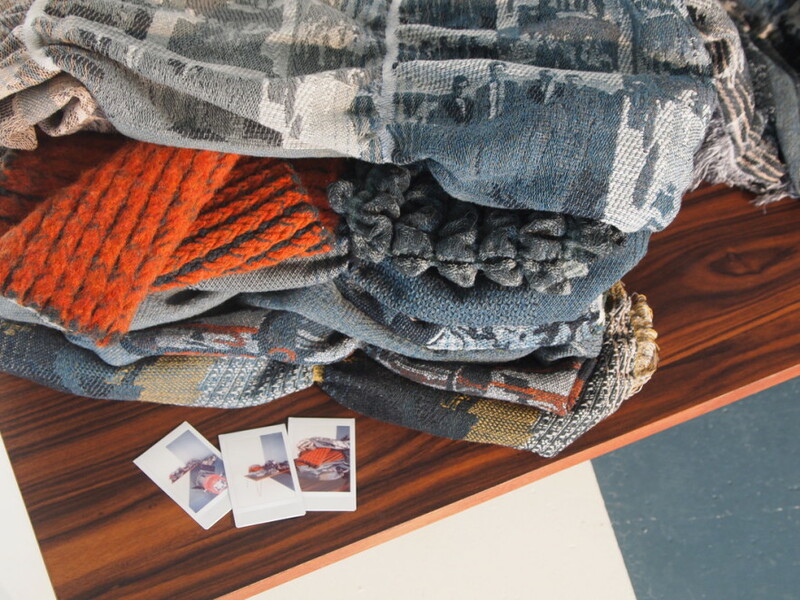 Laurence has based his lambswool interior textiles collection on the real life adventures of M.A Czaplicka, an anthropologist who spent a year in Siberia studying local people from 1914-15. He has developed the story using a Scandinavian weaving technique (Krokbragd) and a Rigid Heddle Loom. Optimum Versatility by Andrea Murphy, Technical Weave Designer, Huddersfield University. Andrea was first introduced to wool at the Making it in Textiles Conference which takes place annually in Bradford. Inspired by the properties of the fibre, Andrea incorporated it widely into her final year work and was awarded the Silver Award by the Worshipful Company of Woolmen for the best final year student focusing on wool. In Andrea’s words: ‘Optimum Versatility extends the use for wool by exceeding its capability to perform’. 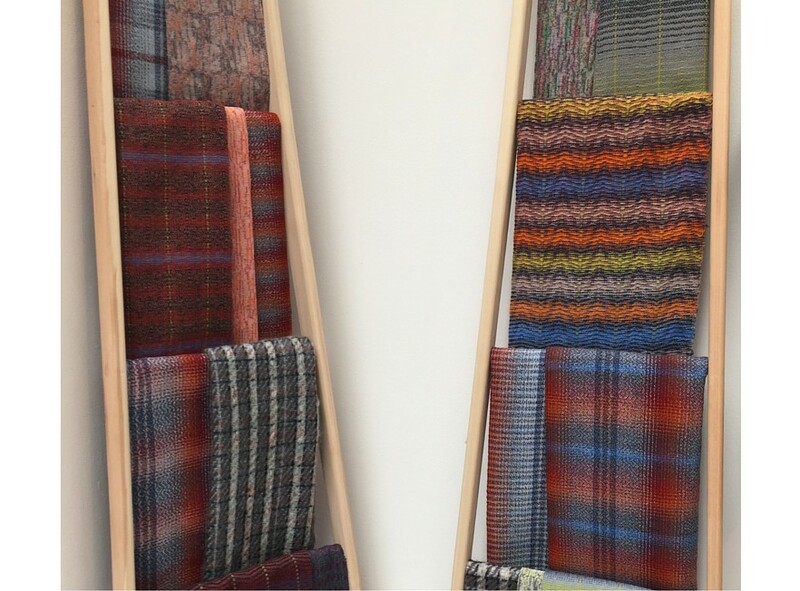 By working on digital jacquard and hand looms and experimenting with techniques such as felting, Andrea has created textiles that show the broad range of possibilities wool offers. 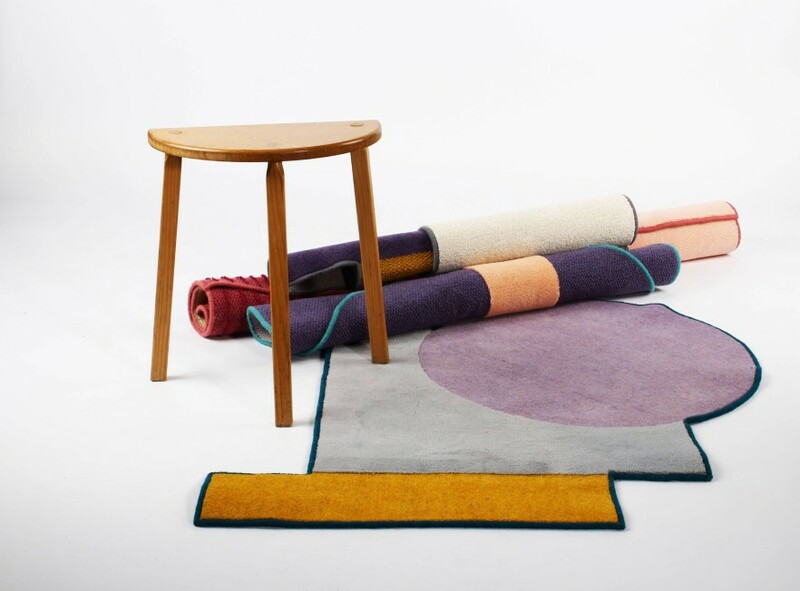 A collection of bespoke, handcrafted rugs that utilise carpet off-cuts, taking a waste product and turning it into something new and beautiful. 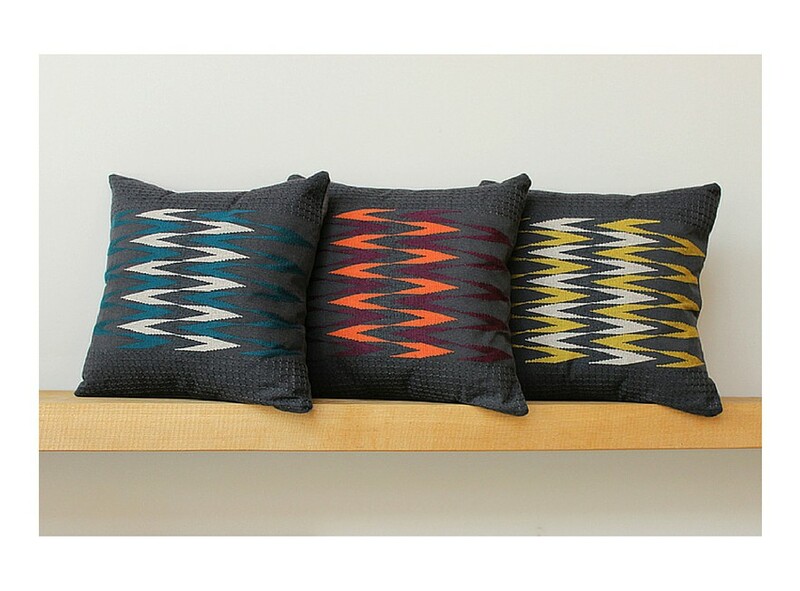 Each geometric piece is re-dyed to Isabel’s specifications, joined by local carpet fitters and hand embroidered to finish. 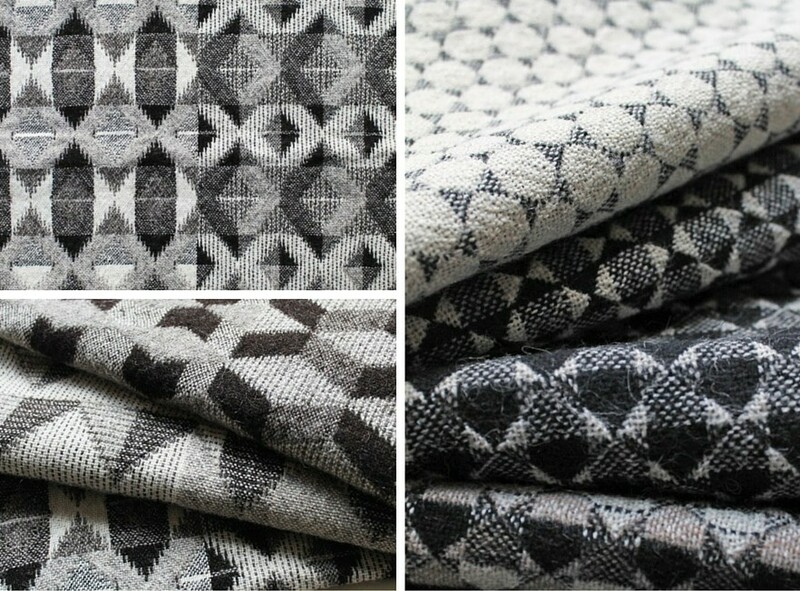 A collection of beautiful knitted wool interior textiles that uses a base neutral and soft accent colour to highlight the beauty of the stitches. 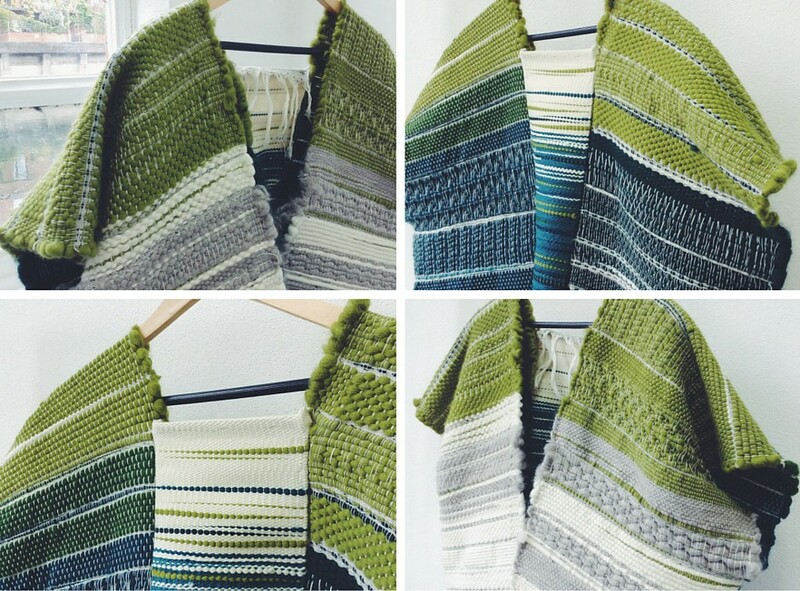 Katrina’s cape was woven in three panels using locally sourced British wool for the fine wool warp and roving weft, then constructed by hand. The interior of the garment has been brushed to give the wearer additional warmth. Inspiration for Katrina’s graduate collection, shown at New Designers, came from the Shetland coastline, particularly a collection of shells which Katrina found on the islands and examined under a microscope. She then translated her illustrations of the detail into woven cloth. Matilda is the recent winner of several textile design awards from industry, including The Stuart Hollander Scholarship Award from the Worshipful Company of Weavers, the H&M Live award, and the Bradford Textile Society. 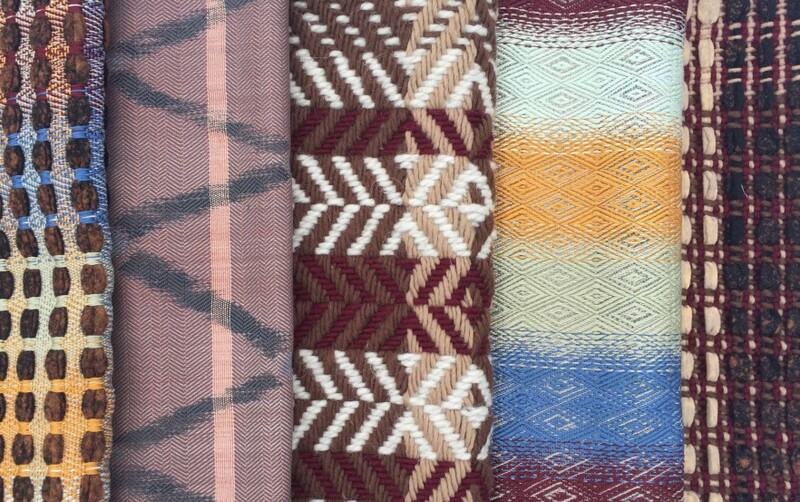 The work presented at New Designers is a collection of menswear woven textiles inspired by her home town of Bowden. Having grown up in the North Yorkshire Moors Emma used the natural landscape and wildlife of the moors as the basis for her collection of interior textiles suited to carpets, curtains or blinds and upholstery. Seen here are the five warps developed for Emma’s graduate collection, each focusing on the geographic patterns found in feathers of birds local to the area. Katie was inspired to focus on wool after attending the Making it Textiles Conference in 2015 and has recently won 2nd prize in the Woolmark Company Award at the Bradford Textile Society in the category ‘A Woven or Knitted Fabric for Fashion’. Her graduate collection, displayed at New Designers is inspired by mushrooms, resulting in a highly textural collection of knit structures mimicking the wide variety of gills, colours and fruiting bodies found in wild fungi. 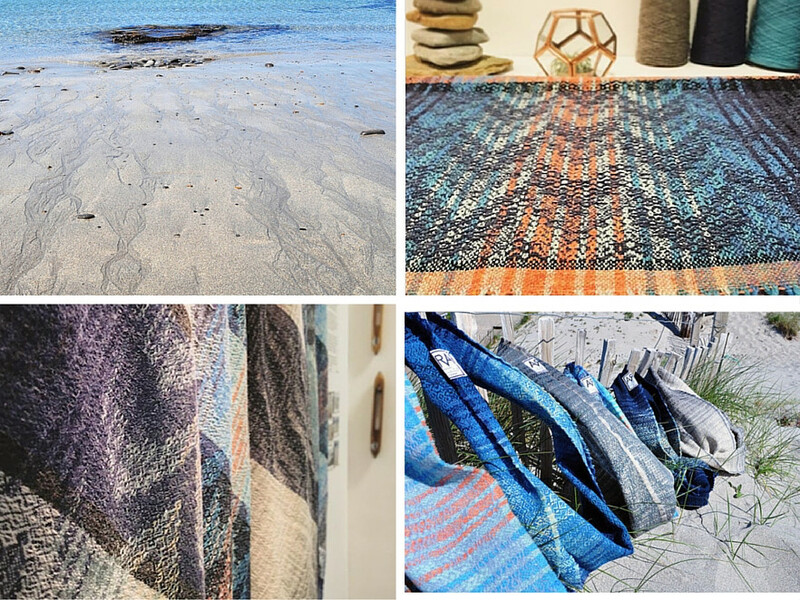 Arra Textiles is a zero waste, micro manufacturing, luxury brand producing hand woven textiles, inspired by family roots in Orkney, from Lucy’s garden studio in the North East of Scotland. Lucy will be showing her new ‘Tide’ collection next at Top Drawer, London 11-13th September. Fusing the traditional hand weaving techniques learnt in Ghana with production on a dobby floor loom allows Zohreh to create textiles that combine primitive and modern methods. The ‘Amambere’ cushions shown are a blend of cotton pearl warp with Merino weft, filled with a sustainable British wool pad. 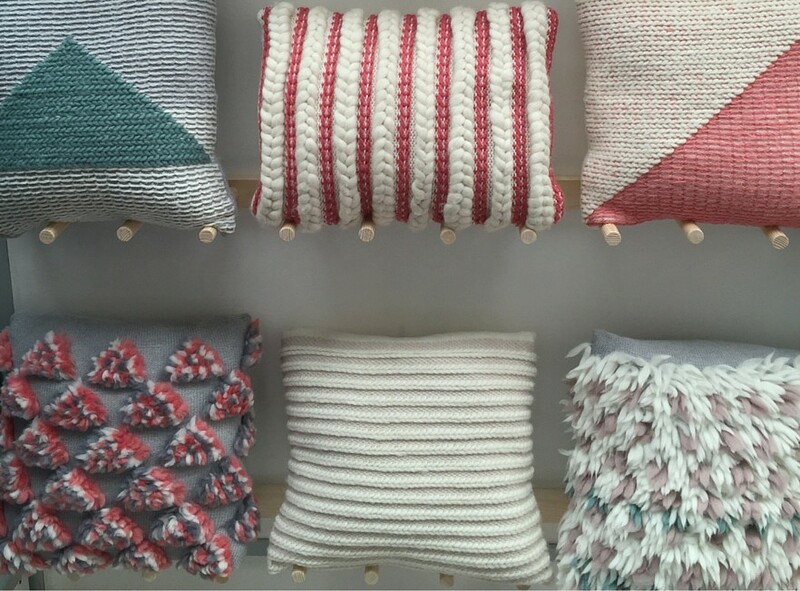 All the Zag Woven range of home and fashion accessories is made to order in Zohreh’s Devon studio. 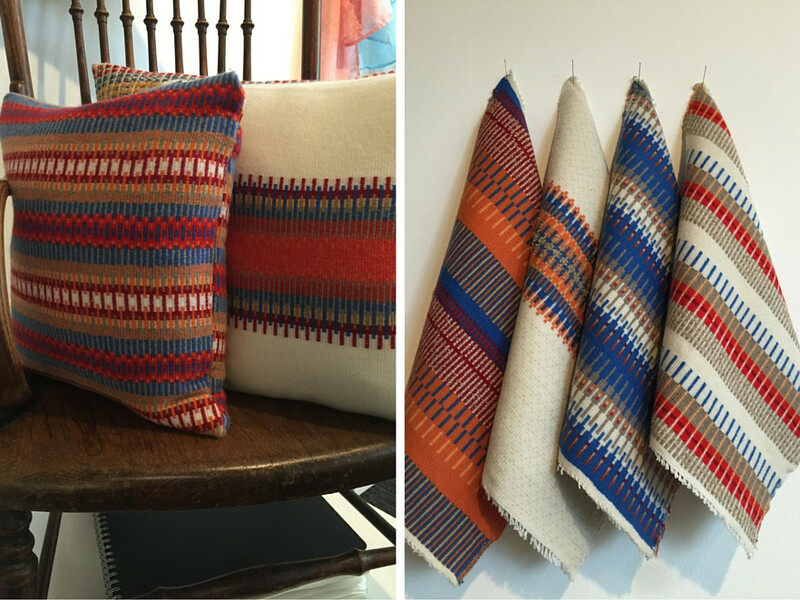 Rowenna is an exciting designer who uses British Wool extensively in her handwoven interior textiles. We first came across her work in 2015, awarding her The Campaign for Wool Award at the Bradford Textile Society annual competition. Since then Rowenna has also appeared in our One Wool gallery, a showcase of beautiful wool products for the home sourced from around the world. Next up: New Designers Part 2, focusing on furniture, product and industrial design, illustration, animation, motion and digital arts. Starts tomorrow at the Business Design Centre Islington, London N1.